Description: From Banpresto! All goods from the World Figure Colosseum are unique to the competition held by Banpresto to find the best sculptors in the world, professional or not! This particular figure is of the world-saving hero Goku from the shounen classic Dragon Ball Z. Sculpted by Hiroyuki Nakazawa, Goku prepares for a devastating Kamehameha attack while in Super Saiyan mode. Goku stand 4 1/4″ tall. Imported from Japan! 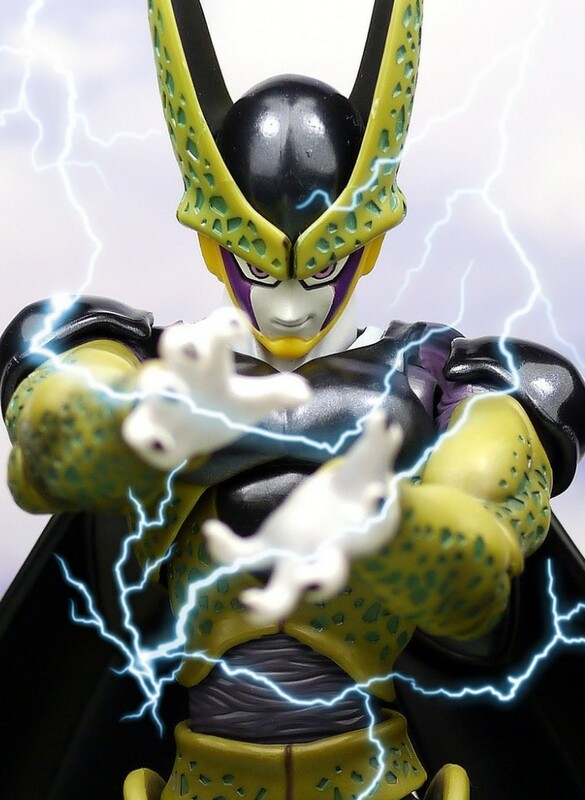 Joining the S.H.Figuarts line is Perfect Cell. Created especially for the American market via input from Facebook polls, Perfect Cell joins Trunks and Super Saiyan Vegeta in the Dragon Ball line up! The 6 1/4″ figure comes with energy ball effect parts interchangeable hands. The figure also comes with a special display stand.